If you are feeling that superhero movie fatigue, then you are not alone. Who am I kidding? Looking at the box office, we are a long ways away from getting tired of superhero films. 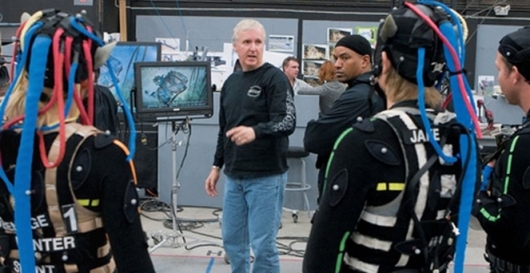 But according to Avatar and Terminator director James Cameron, that fatigue has already set in and he believes that “we’re going to start getting Avenger fatigue.” More on the story below. Just days before Avengers: Infinity War is to hit theaters, and while out promoting his new series, AMC Visionaries: James Cameron’s Story of Science Fiction, Cameron spoke to a group of reporters (via Indie Wire) to address his thoughts on superhero fatigue, and his hopes that the populous also gets just as tired as he is. This wouldn’t be the first time that Cameron has found himself in a storm of superhero controversy. He spoke ill about the body image in Wonder Woman, saying that Gal Gadot’s figure was “an objectified icon” and it’s a “step backwards.” Fortunately, many did not see it that way, and director Patty Jenkins herself responded to Cameron’s comments at the time. But I am not sure where the “hypogonadal males without families” jab is coming from. We saw that Hawkeye has a family in Avengers: Age of Ultron. Peter Parker has Aunt May. T’Challa has Shuri and his mother. But the idea of family doesn’t always mean having the traditional mother, father, and a couple of kids. Tony Starks loves Pepper, as we have seen in the Iron Man films. And he even sees Rhodey as a brother. Societal rules have changed. So maybe Cameron is just old-fashioned. That being said, being a superhero can change the way a family works. Marvel knows what they are doing and knows what the audience craves — by the way, we are still waiting on a Lady Liberators. These films aren’t just males doing death-defying things. Black Panther was a very clear indication of that as T’Challa had to assume the role of King while also being a public figure that opened the once-secluded Wakanda to the world. And if Cameron is so concerned about what superhero movies are like, why not come in and change it? There is one studio that could use the help. Or maybe it’s just the fact that Avengers: Infinity War has 22 heroes in it, and it is a bit overwhelming to even think that they could fit that many people in one film. Cameron may have just grown tired of superhero movies a lot sooner than some of us have. But as long as Marvel continues to find ways to reinvent themselves, their superhero films are here to stay.